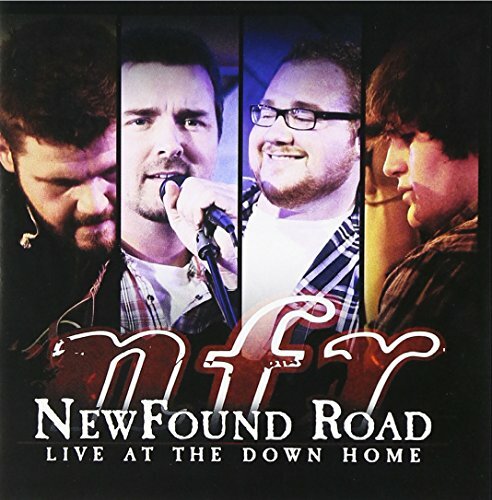 On this, their new album, NewFound Road once again demonstrate their abilities as a crowd pleasing outfit, this time on a live recording made at Johnson City, Tennessee's venerable music venue The Down Home. Tim Shelton, founder, band leader, lead singer and (mostly rhythm) guitarist of this group of young veterans, possesses one of the truly distinctive voices in bluegrass today. His nuanced, sometimes booming, always forceful and magnetic baritone is equally effective on the reflective singer-songwriter fare the band often features and the more traditional material with which the band's shows are also laced. His style can be reminiscent of the full bodied, vocals of early personal favorites of Tim's like Larry Sparks and Tony Rice (an often overlooked influence on current singers as well as guitarists), and other recent favorites like Ronnie Bowman. The current band's line-up, and the one featured on this live album, includes brothers Joe and Jamey Booher on mandolin, bass and harmony vocals and Josh Miller on banjo, guitar, harmony and lead vocals and he is, as Tim mentions at one point during the evening's proceedings. one of the finest dancers you'll ever see. The repertoire on this live album is a mix of time proven favorites from Newfound Road's earlier albums, (Try To Be, Lonesome River, That's How I Got To Memphis, Houston), that has worked in concerts and at festivals, newer songs penned by band members and others, and material that would, at first glance, seem unlikely fare for a bluegrass repertoire, songs like Bill Withers' classic Ain't No Sunshine. In the hands of this tremendously talented bunch, however, Ain't No Sunshine not only works, (to borrow from the current argot), it kills. If you have any questions about this product by Rounder, contact us by completing and submitting the form below. If you are looking for a specif part number, please include it with your message.